I thought the pineapple nails were fun, but I think I just topped it. 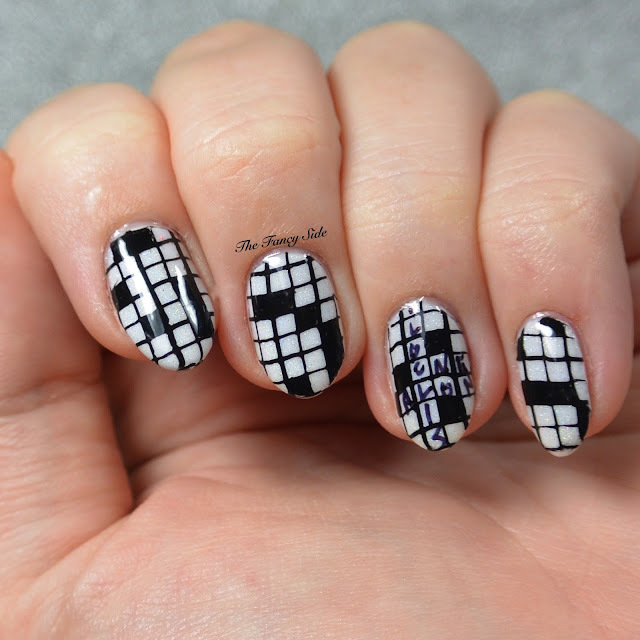 I'm totally in love with my new crossword puzzle nails for #31DC2016 Black & White. I love crosswords in general. 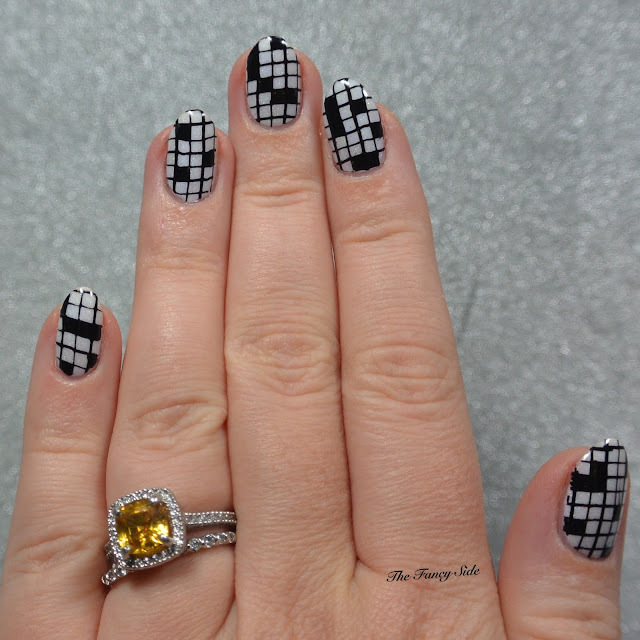 So when thinking about black and white I wanted to do that. I could have gone with bigger squares, but I love the pattern you can get with the smaller blocks. Such a cute design, love the inspiration! Such a cute idea for a black and white mani!